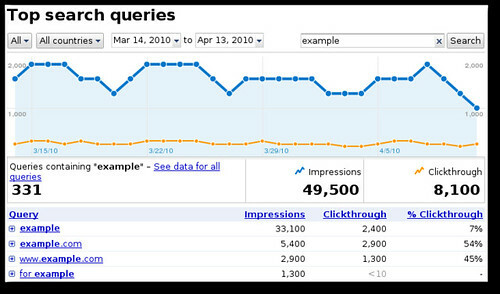 The Google Webmaster Central blog announced new enhancements to the “top search report” under Google Webmaster Tools. 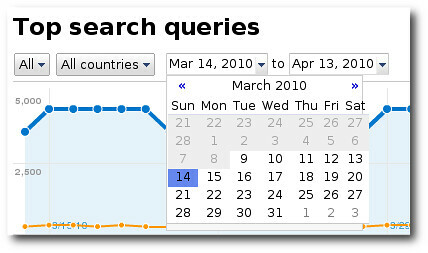 The new top search report is now filled with more details, more search terms, pretty charts and better filtering of the data. Let me take you through the various options. 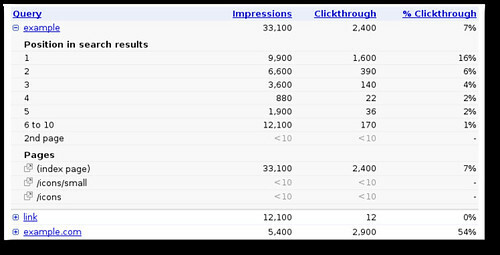 This is a welcomed addition to Google Webmaster Tools!